Why is a Chimney Liner Necessary? Gas-fired heating appliances produce low-temperature, high-moisture-content flue gas, which collects as acidic condensate on the inside of oversized, cold masonry chimneys. It is this condensate that is the primary cause of masonry chimney deterioration, which creates a serious health hazard, as well as costly repairs. 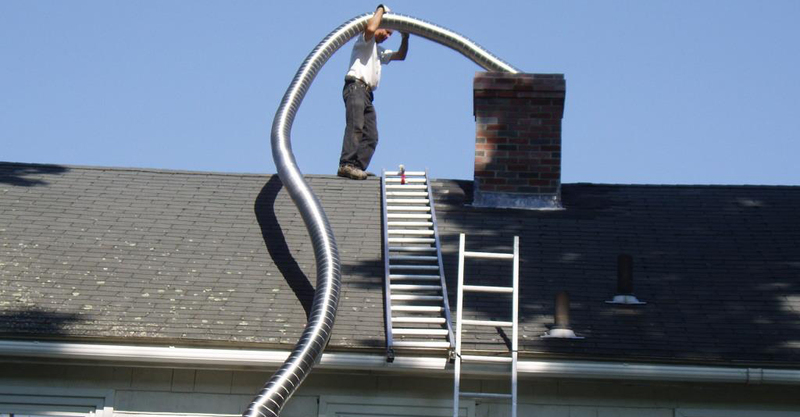 Installing a lightweight, properly sized metal chimney liner will help create efficient, condensate-free venting. Insulating the liner is recommended and will further enhance operation of the venting system. What Materials Should be Used for Gas Liners? Aluminum, with a half-century usage history, has proven to be an economical, effective material for venting gas-fired equipment. Stainless steel is a good choice as well, but is substantially more expensive. Listings by approved testing agencies indicate that the gas liner has undergone rigorous testing to ensure that it is suitable for its intended use. Who Should Install/Maintain a Gas Liner? A qualified heating or chimney contractor is the best person to install this type of product. There are several technical details that must be addressed before a liner is installed. A gas liner should be checked at least once a year by a qualified technician to ensure that the system is venting properly without condensation occurring. We use similar procedures for Oil Furnaces as with our Gas Furnaces, except stainless steel piping is required. It is very important that all oil furnaces have a stainless steel liner installed, as it protects the chimney and, most importantly, it is a health hazard if fumes are getting back into the house due to a blockage of the chimney from deterioration. Chimney liner after a chimney fire. 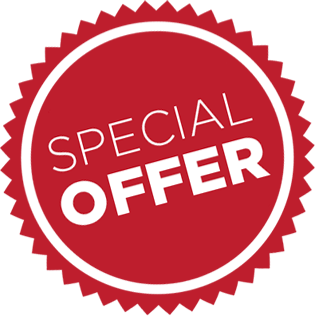 Chimney relining is the most practical and affordable way to repair deteriorated or damaged chimneys. Chimney liners are used to protect the inside of a masonry chimney from wear and tear caused by wet conditions. Moisture, over time, will cause decay and corrosion of mortar, clay, and brick liners. How? Moisture reacts with the exhaust gases to form an acid that slowly “eats away” at the chimney. Moisture also, can collect and seep into cracks, mortar and bricks. In colder climates, this moisture will freeze, expand and then thaw, thus causing chunks of the chimney to break and crumble. As well as moisture…the other most common form of chimney damage is a chimney fire. Clay tile chimney liner after chimney fire. In addition to chimney damage, older chimneys may be unlined or their liners may be deteriorated to the point where relining is warranted. Golden Flue chimney liner casting. A cast masonry liner is installed after the removal of the old clay tile masonry liner. The tested chimney mix is pumped into the chimney casing and around a temporary deflateable chimney former. Golden Flue chimney liner completed casting. Note the smooth texture and the flow of the Golden Flue masonry lining mix being pumped into the chimney around the rubber chimney former. Note the spring spacers around the former. This device is what maintains the wall thickness of the cast liner throughout the entire length of the chimney system. The temporary chimney former is removed and pulled out of the chimney after the chimney mix has set up. The end result is a round seamless liner system with no joints. The cast masonry liner has bonded to the inside walls of your chimney and stopped all further deterioration. At the same time it also has sealed any weak areas and any gaps or cracks in the chimney. This is a complete fireproof masonry liner which looks like a well casing. In most cases we install a short piece of conventional clay tile on top of the cast liner. This is so your chimney does not change any of its appearance prior to our relining of the flue. To complete the job we install a new crown was on top of the entire chimney with same and mortar material. If this chimney did not have a chimney cap we do recommend one. Water is the number one thing that causes masonry deterioration.